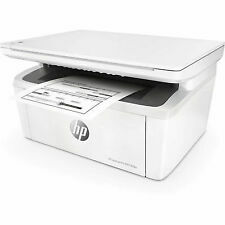  HP LaserJet Pro M28a Printer. 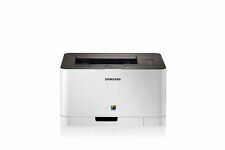  Compact LaserJet MPF suitable for print, copy and scan.  Support flyer. Official Ryman Outlet. From Official Ryman Outlet. This does not affect your statutory rights. 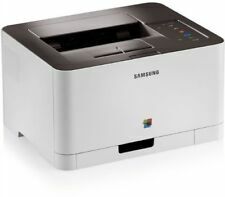 Samsung ML-2165 mono laser printer. If you need a personal mono laser to sit on your desk, and don't want to give up a lot of desktop real estate for it, the Samsung ML-2165 is a tempting choice. Toner MLT-D101S/XSG Page yield (black and white) 1,500 pages. WiFi printing. Wired connectivity: WiFi, USB 2.0. Fast printer. App available: Brother iPrint & Scan. It handles paper sizes from A6 to A4, so is up to most professional or student tasks. Print technology: Laser. 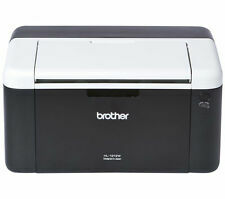 Brother DCP-1610W Mono Laser Multifunction Printer. 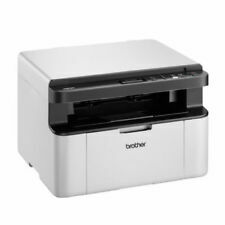 Brother DCP-1610W A4 Mono Multifunction Laser Printer. Capable of connecting to wireless LAN networks, a wide range of office computers will be able to simultaneously connect to the printer to utilise the printing, copying, scanning and fax functionalities. SAVE 10% WHEN YOU SPEND OVER £100! Full compatible toner installed (only 54 pages printed with it) which is producing good quality. 1 x OKI B430D. Fast Personal Compact Duplex Ready Desktop Printer. USB and Parallel A4 Mono Laser Printer. Connectivity: USB & Parallel. Print Speed: Up to 28 ppm Black. Warranty ; 6 Months RTB Warranty. A4 USB & Ethernet High Quality Colour Laser Printer. Fast Network Ready Colour Workgroup Printer. Brother HL-3040CN. Toner Level ; All Toners Above 30%. 1 x Brother HL-3040CN. Up to 16ppm Colour Print. Print speed black (normal, A4). Copy speed black (best, A4). Copy speed (black, normal quality, A4). Print speed black (draft, letter). First page out black (A4, ready). Print speed color (draft, letter). The Printer Broker Ltd is a supplier of printers, fusers and printer parts based in Bolton, Greater Manchester, UK. Automatic Duplex Printing (2-sided). USB, Ethernet and Parallel Connections. Print up to 28 Pages per minute. We will always go out of our way to source the product you are looking for. With speeds of up to 20 pages per minute, keep on top of projects without worrying about your printer slowing you down. 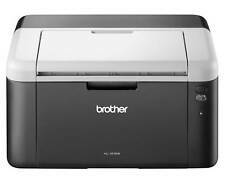 Designed to fit a variety of page sizes and with a high print and scan resolution – the Brother Laser printer suits a variety of printing tasks. Automatic Duplex Printing (2-sided). Print up to 28ppm (Mono). USB, Ethernet and Parallel Connections. We will always go out of our way to source the product you are looking for. Product Family: MFC. Product Type: Laser Multifunction Printer. Multifunction Devices: Copier/Fax/Printer/Scanner. Effortless print, copy, scan and faxThe Brother MFC-1910W is stylishly designed and compact enough to fit onto a shelf or workstation. Intuitive buttons and included software make printing as easy as you'd expect from HP. 1 x OKI B410D. Personal Compact Duplex Ready Desktop Printer. USB and Parallel A4 Mono Laser Printer. Connectivity: USB & Parallel. Print Speed: Up to 28 ppm Black. Warranty ; 6 Months RTB Warranty. 1 x Power Cable. These Printer are our refurbished Printers. •Printer repairs undertaken. Isle of Man : IM, EVC. Scottish Highlands: FK17–99, G83, IV1–28, IV33–39, KW all, PA21–33, PA35–40, PH18–26, PH30, PH31–42. Freight services £50.00. HP OfficeJet Pro K8600DN. 1 x HP OfficeJet Pro K8600DN. Fast Network & Duplex Ready Colour Workgroup Printer. A4 A3 High Quality Colour InkJet Printer. Duplex Unit Installed. Resolution: 1200 x 1200DPI Black & 1200 x 4800 Colour. 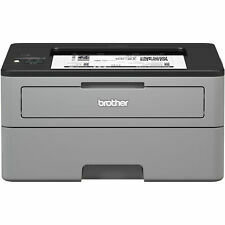 Laser Printers Brother HL-1210W Mono Laser Printer Wireless/USB. 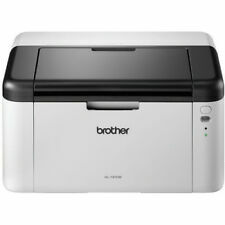 Brother HL-1210W Mono Laser Printer Wireless/USB. The Brother HL-1210W is stylishly designed and compact enough to fit onto a shelf or workstation. The Brother HL-1212W replaces the popular HL 1112 in the Brother range. No software/drivers are included, but the latest ones can be downloaded from Brother website. Wireless connectivityWiFi. Print technologyLaser. Uncompromising quality. Help save energy with HP Auto-On/Auto-Off Technology. May see signs of use/marks and imperfections. Item does include power cable, usb lead and driver disc. The toner is included but is varied from 0% to 99%. USB 2.0 & Ethernet connections. Print up to 35ppm Mono. Print up to 34ppm Colour. We will always go out of our way to source the product you are looking for. Automatic Duplex Printing (2-sided). Parallel and USB Connections. Add to Favourites. We will always go out of our way to source the product you are looking for. Automatic Duplex Printing (2-sided). We will always go out of our way to source the product you are looking for. Add to Favourites. OKI B4600n. 1 x OKI B4600n. USB Ethernet and Parallel A4 Mono Laser Printer. Connectivity: USB, Ethernet & Parallel. Personal Compact Network Ready Desktop Printer. Print Speed: Up to 26 ppm Black. Warranty ; 6 Months RTB Warranty. A full 12 months warranty is included. Brother iPrint&Scan app available. printer & colour scanner. Print up to 18ppm (Mono). USB connection. We will always go out of our way to source the product you are looking for. Interface Type(s)USB & Wireless. Printer Resolution2400 x 600 dpi Print. Product TypeA4 Laser Printer. TechnologyLaser Printer. Duty Cycle. Duty Cycle10,000 pages monthly Duty Cycle. Double Sided PrintingAutomatic Double Sided Printing. 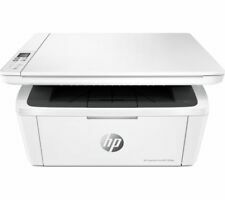 You can connect to the LaserJet Pro M28W wirelessly using the HP Smart app, which lets you print and scan straight from your smartphone without having to stand beside the printer. Small multifunction laser printer for quick and easy printing.